This week, Your News to Know brings you the latest stories involving gold and the overall economy. 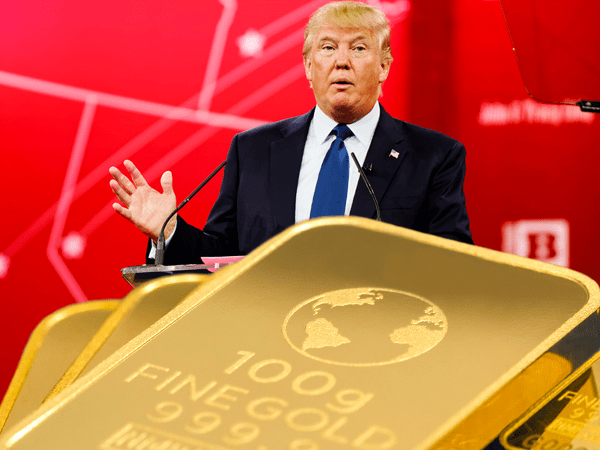 Stories include: Gold rallies as Trump’s in-office hardships batter the dollar, gold’s safe haven status refreshed amid Trump-fueled turmoil in stocks, and India is working with the World Gold Council to create a spot exchange. Gold climbed last week on the back of turmoil surrounding the Donald Trump administration, reaching a two-week high of $1,248 and pushing its gain this year to 8.6%. This follows President Trumps’ firing of FBI Director James Comey after reportedly urging him to drop an investigation into a former National Security Adviser, raising concerns that the president may have obstructed justice. While Hansen isn’t ready to draw comparisons to Watergate yet and doesn’t believe the current sum of events could lead to a removal, he still acknowledged that the issues, which have so far hurt both the dollar and European stocks, are drawing the administration’s focus away from policies and hampering the White House’s ability to deliver on promises. The ongoing disarray in the White House has restored gold’s safe-haven appeal, allowing the metal to post its biggest gain since June 2016. The metal also benefited from the dollar trading near its lowest since November as well as investors scaling back on equities. “People are now worried that he may get impeached,” said Brian Lan, managing director of Singapore-based GoldSilver Central Pte, in regards to Trump. “So safe-haven assets are now back in.” Lan pointed out that the metal clearing the $1,270 level could potentially send gold towards $1,300 an ounce, acknowledging the importance of news flow in the metal’s rise. The World Gold Council (WGC) has teamed up with the Indian government to create a physical spot-gold exchange that would significantly improve trade in the country. The plans still face several political and logistical hurdles, but the project could go live as soon as next year. “It is not going to be a gold exchange like you see here, with bullion banks backing liquidity, it’s going to be very different,” he added. This is the latest in a series of gold exchange overhauls around the world as multiple countries look to improve their system for trading with the yellow metal, which is rising for a second year amid growing demand from China and a weaker U.S. dollar.